The big day. Your venue is beautifully decorated, your flowers are fresh and fragrant, your cake is waiting to be cut and your photographer is ready to capture every sweet moment….but are YOU ready? 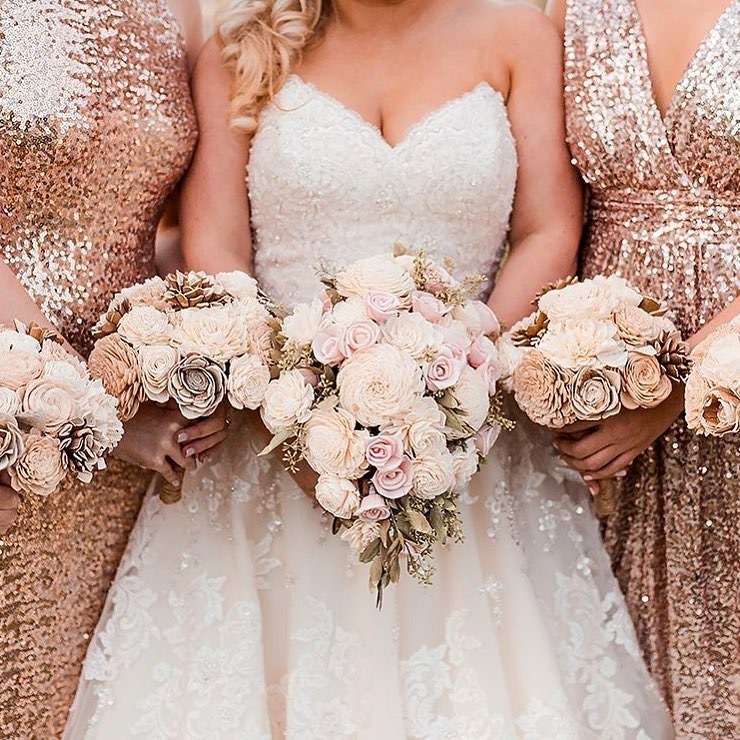 Here are my top reasons for why you should hire a professional makeup artist for your big day. You’re likely investing a healthy amount of your budget into photographs, so not hiring a makeup artist is like buying a Ferrari and not buying insurance. Professional makeup is the difference between ok photos and amazing photos. Not enough and you’ll look washed out. Too much and you’ll look like a cartoon character. Wrong colors and you could look ill. Wrong style and you’ll look out of place. Wrong products and you’ll have a ghost face once the flash starts popping. With so much that can go wrong, why wouldn’t you take the opportunity to make certain it goes right? Photographers edit to a point - but I don’t know of any who are going to beauty edit hundreds of images to fix that red bump or dark circles in every single image and if they do, bet your last dollar that it’ll cost a fortune. Sure. You can DIY or have a “friend” who dabbles in makeup do it, right? Save a few bucks? Well no, not really, unless the friend has done hundreds of faces, styles and has honed professional skills for years and if you have up to $400 to spend on top quality, photograph friendly products to wear for one day. If not, you may want to let your friend be your friend and hire someone who has training, experience and accountability to give you the look you’re going for. If you think it’s expensive to hire a professional, you can’t imagine the true cost to a bride who utilizes an amatuer on her wedding day. A quality artist is not only well versed in style, but knows exactly what products to use and how to layer them for a long lasting, photo ready result. Pro artists think of everything from weather conditions to tears of joy. They can give you tips on how to cry safely (yes, there’s such a thing) maintain your look throughout the day and a great artist even offers a custom touch up kit for your peace of mind so you can rock that look well into the night without worry. Makeup for your bridal party is pretty important too. They will be photographed as well and you certainly don’t want 7 different looks on everyone. Great artists will make sure that everyone has a look that is cohesive, balanced and fits the overall theme and style of your wedding while still making the Bride the star of the show. Want to make sure that everyone looks amazing with no fuss or awkward discussions about their normal makeup style? Use makeup as your gift to your bridesmaids as assurance that everything flows and that all your images will look great. Wedding days, no matter how well planned, can be stressful. Worries about deliveries being on time, guests who are lost, weather being unpredictable, timelines, family drama - it can all be a possibility. With all the buzz, you don’t want to take any additional risks. A nervous, shaking bride and a mascara wand are a scary thing when combined. A friend who is trying to get herself ready and do your styling can run you behind. A professional makeup artist will be calm amidst the outside influences and pressures and certainly understands timing. Very experienced artists are calming, steady and they are going to be efficient with your schedule so there are no delays on you coming down that aisle. You’ve likely hired professionals for every aspect of your wedding. Your personal appearance shouldn’t be a reduced budget item. The fact is no matter how wonderful your cake and flowers are - the only tangible thing you will walk away from your wedding day with is your photographs. The pictures that tell your story to your future generations long after we are all gone. The face that everyone came to see and admire. I’m sure your other details will be amazing but remember - when you walk down that aisle, all eyes are on you. Your face. Your smile. Your lips as you say your vows. Your eyes as they gaze into your future. Your skin aglow with happiness. Hiring the right styling professionals will be an investment that you and your family will love to reflect on for many years to come.